For operation in the most extreme cold temperatures, the Spectra Focus 6W+ 5-Second Winterized Reflectorless Total Station provides surveyors with a comprehensive tool to perform stakeout and layout jobs with ease. With high-clarity optics and superior performance in bright and low light conditions, this survey equipment delivers accurate distance and angle measurements up to 1,640 reflectorless and up to 16,404 feet when used with a single prism. 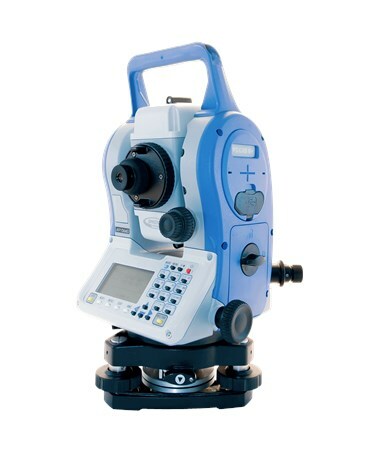 In addition, this land surveying tool has a tilt sensor and dual-axis compensator for perfect leveling and comes standard with a traditional optical plummet for device centering and stable angle measurements. Working in as low as -22°F temperature, the Spectra Focus 6W+ includes a coaxial laser pointer to assist with target identification and reduce aiming time. 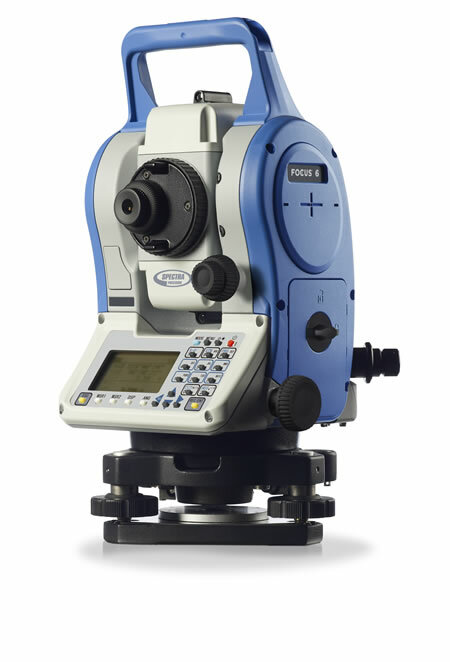 Equipped with both RS-232C serial port and integrated Bluetooth, surveyors can connect this total station to Spectra field controllers, such as Nomad, Recon, Ranger, MobileMapper or T41 with the assistance of built-in Survey Pro data collection software. Plus, with 50,000 points of internal memory, the Focus 6W+ easily stores any field data ideal for a variety of surveying applications. Featuring a single LCD display and alphanumeric keyboard, the Spectra Focus provides easy and quick access to the most common function, allowing surveyors to increase productivity in the field. Meeting IP66 standards with water and dust-proof protection, this field instrument is rugged and can operate in virtually all types of weather. 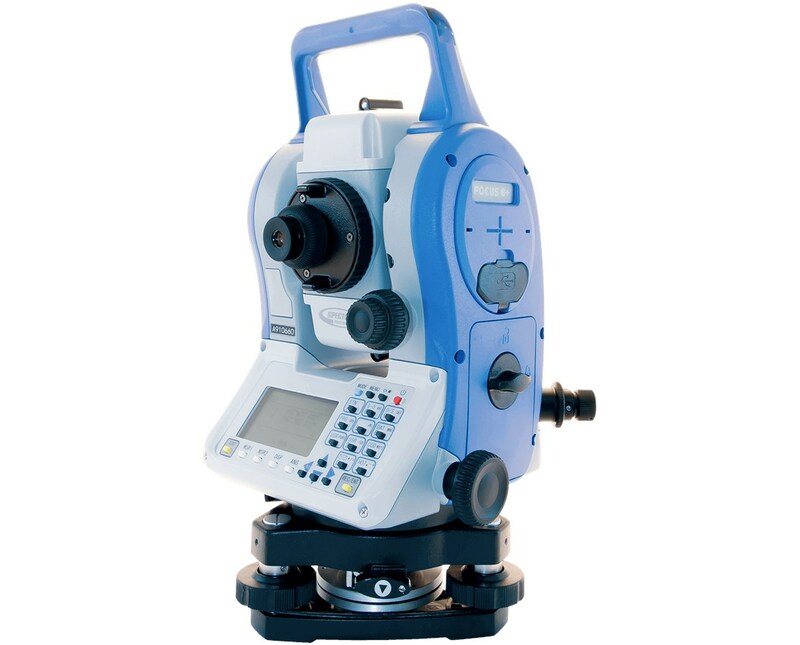 With the included rechargeable batteries, this total station can last up to 31 hours of continuous measurements. The Spectra Focus 6W+ package comes with a tribrach, plastic carrying case, universal charger and a 2-year manufacturer’s warranty. The Spectra Focus 6W+ 5 Second Winterized Reflectorless Total Station comes in two packages to accommodate every surveyor's needs. Choose your preference in the drop-down section above.